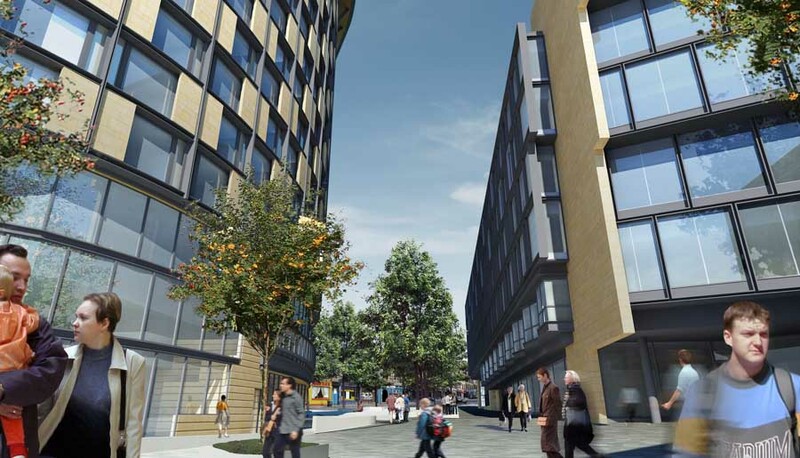 The Haymarket development, Edinburgh’s prestigious £200m joint venture commercial scheme by Tiger Developments & Interserve, marked a major milestone in construction yesterday by ‘breaking ground’ as it progresses onto the next major development phase. On track for completion of the first office H5 building in 2018, the development will consist of prime office, retail and leisure space including a hotel and aparthotel. 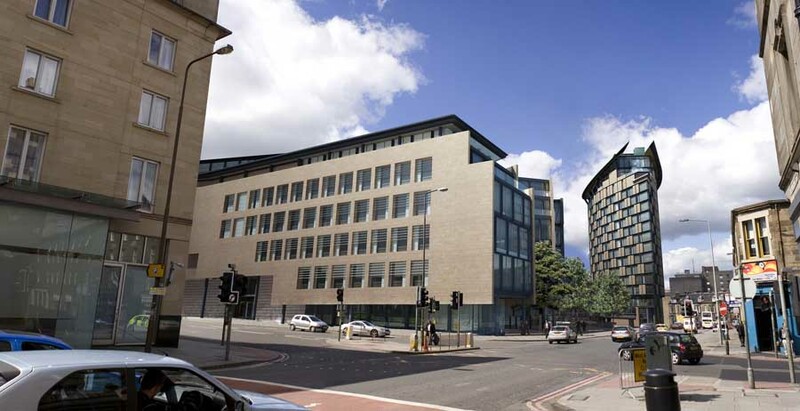 It is considered to be Edinburgh’s best-connected office location within minutes of the Haymarket Station and tram stop linking the city to Edinburgh airport within 20 minutes. 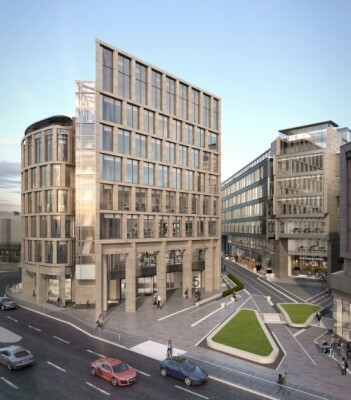 City of Edinburgh Council welcomes the development as it will not only transform a prime site in the city’s West End, which has been derelict for decades, but also create much-needed quality office space. A significant milestone in the development of Edinburgh’s city centre has been reached with the start of construction work at The Haymarket, one of the capital’s biggest commercial developments of the last 10 years. Engineering work has now begun on the railway tunnels beneath the four-acre site, adjacent to Haymarket Railway Station. Edinburgh Haymarket Developments Ltd, the joint venture company behind The Haymarket which brings together Interserve and Tiger Developments, anticipates a 12-month underground works programme, undertaken at night to avoid disruption to travellers using one of Scotland’s busiest rail networks. Above ground construction is set to start in spring next year, with the first buildings’ phase earmarked for completion in 2016. An archaeological dig is also set to commence above ground on the site in February 2014 which will involve the permanent closure of the NCP car-park currently occupying the site from January 31. 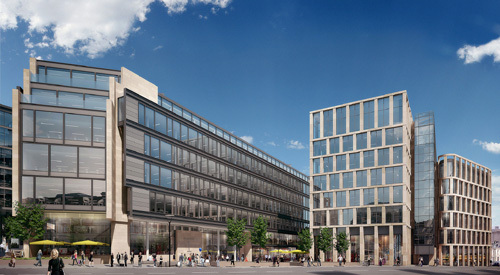 The work signals the start of one of the city’s most important development projects of recent times, which will result in a £200 million mixed-use development delivering a mix of high quality office, hotel and retail space with the potential to create 3,500 jobs. There has been significant interest in The Haymarket from commercial operators across the UK. This includes a number of major hotel operators and a planning application relating to one of the buildings will be submitted shortly. 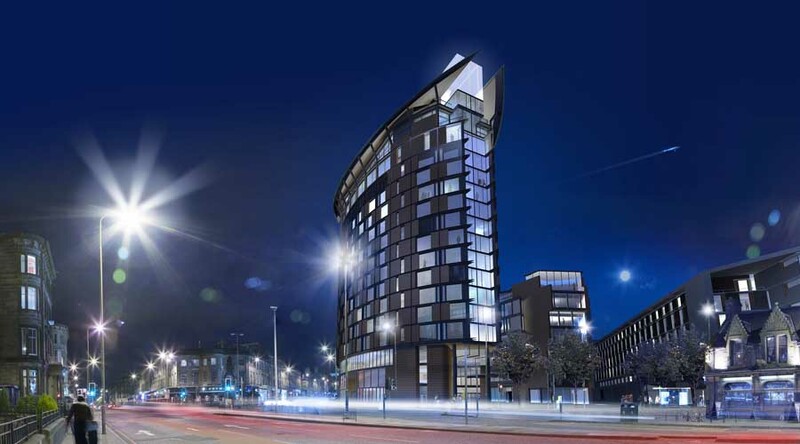 Tenants already signed up for the initial development phase include Q Park, Tesco and serviced apartments provider Staycity. 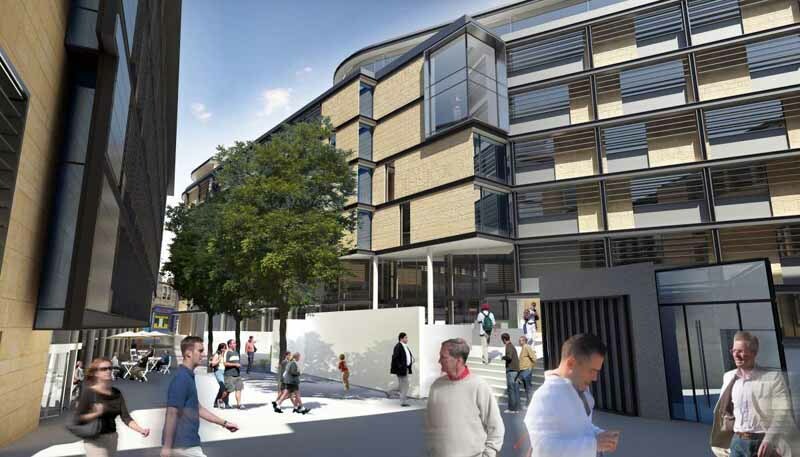 Edinburgh Haymarket Developments is a joint venture between Interserve and Tiger Developments. Welcoming the start of work on site, Interserve’s Development Director David Westwater said: “We have made excellent progress since signing the agreement with Network Rail that allowed us to start work on The Haymarket. John Nesbitt, Managing Director of Tiger Developments, added: “We have been involved with this project since we acquired the site in 2006, and I am delighted that we are now finally up and running with the development programme. 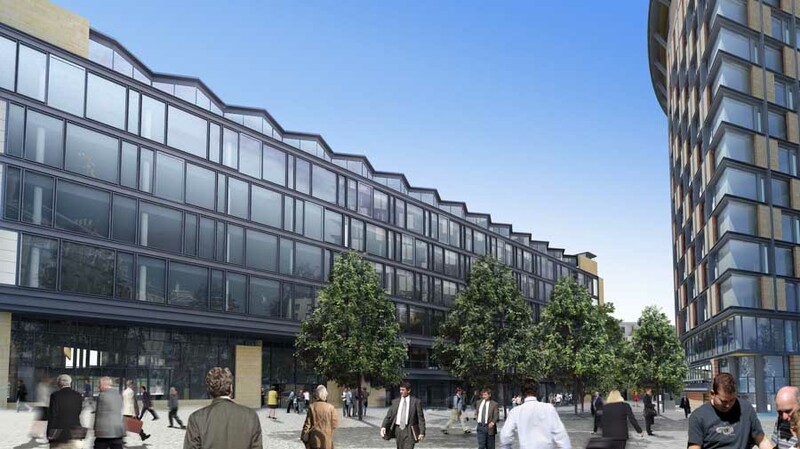 Additional tenant interest in The Haymarket includes food chains Prezzo and Pret A Manger which have already committed to the second development phase. Advanced discussions are currently taking place with other occupiers for a further 70,000 sq. ft. of retail and office space. 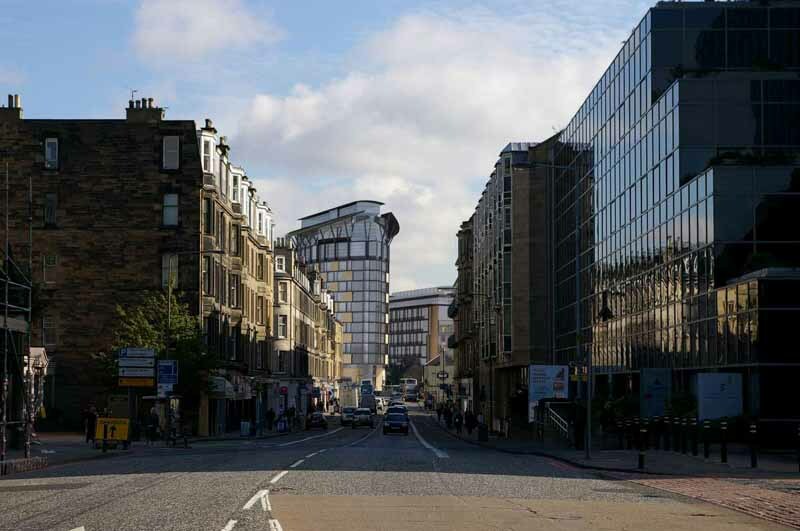 In total, The Haymarket has full planning consent for 404,000 sq. 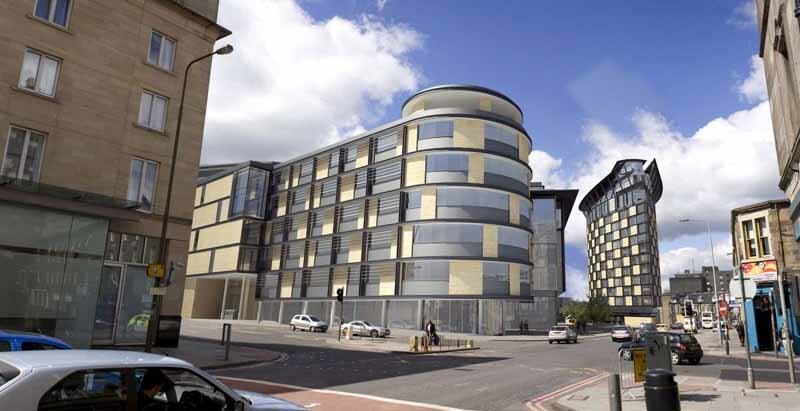 ft. of office accommodation and 60,000 sq. 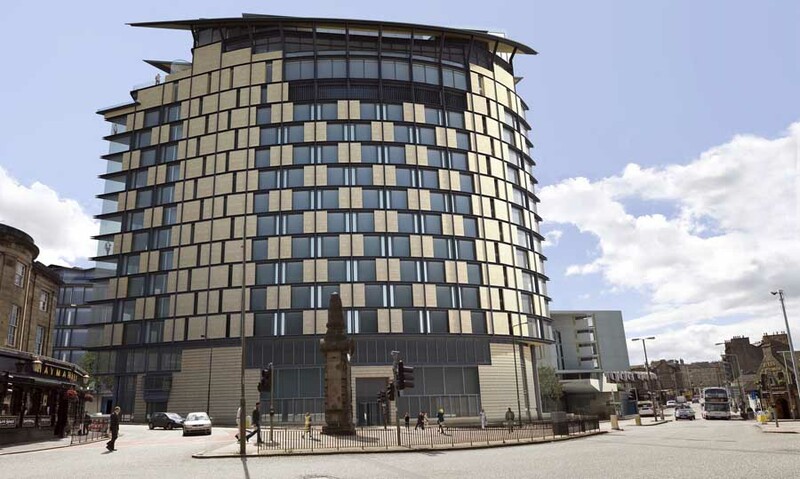 ft. of commercial and leisure space, together with a 165-bedroom hotel and a 320-space underground car park. 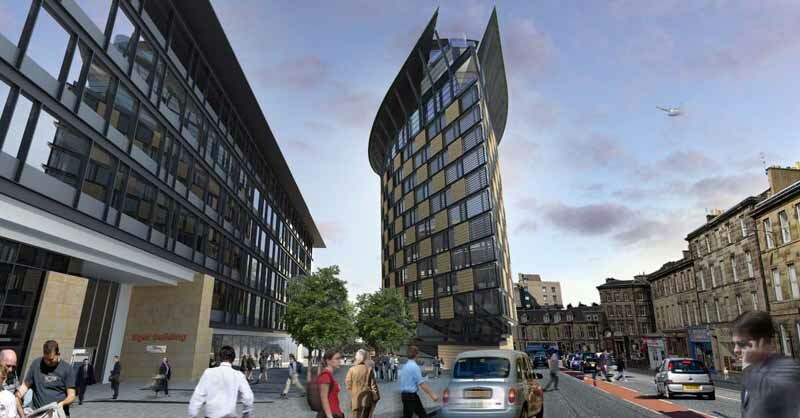 More information on the construction timetable at the Haymarket is available at www.thehaymarketedinburgh.com. 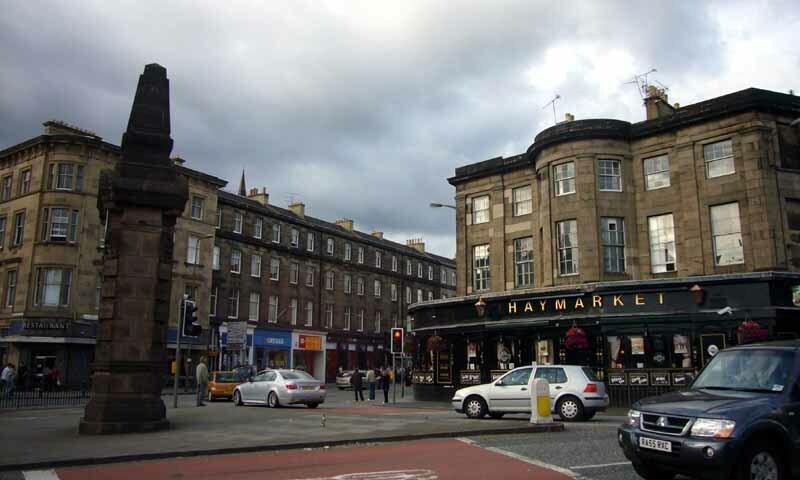 The Haymarket site is one of Edinburgh city centre’s last remaining major gap sites. Detailed planning approval was granted in March 2011 following an extensive consultation programme with the local community, with the scheme gaining backing from the city’s business leaders as well as praise by planners for the high quality of its architectural design. Proposals include four contemporary office buildings offering around 400,000 sq ft of space designed to meet the fast-growing demand in Edinburgh for high-quality city centre space capable of accommodating large-scale occupiers on single floors. There will also be a mix of retail, food and leisure developments – including retail units and a food store as well as bars, cafes and restaurants. The new Edinburgh tram system, which is due for completion later this year, runs adjacent to the site and Haymarket railway station, further cementing the location as a principle business and transport hub for the city. The plans highlight the open and accessible public space, creating a mix of continental style boulevards and pedestrian-friendly public areas. 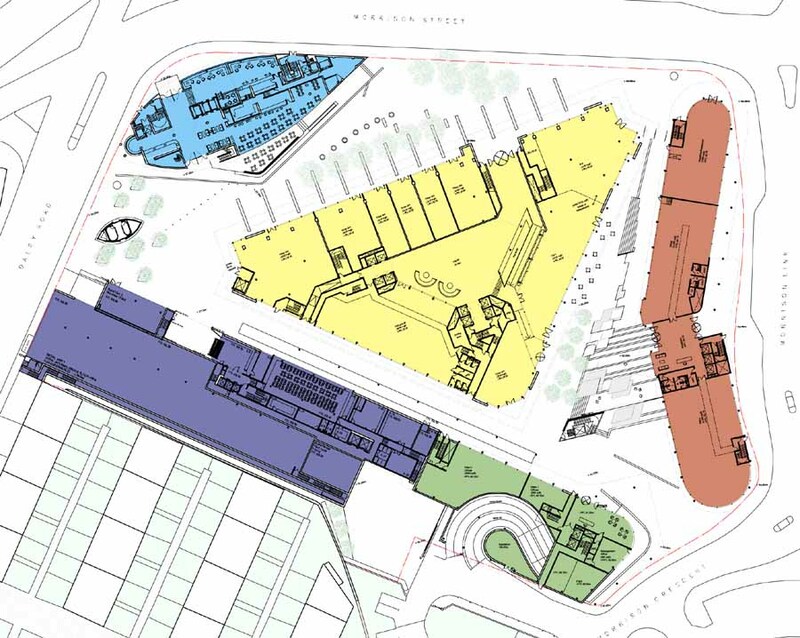 The scheme has been designed to create an easily accessible ‘walk-through’ layout from different directions, emphasising its strategically important location, connecting the city centre to the capital’s second busiest railway station and new tram network – as well as to Edinburgh International Conference Centre and the new exhibition centre. 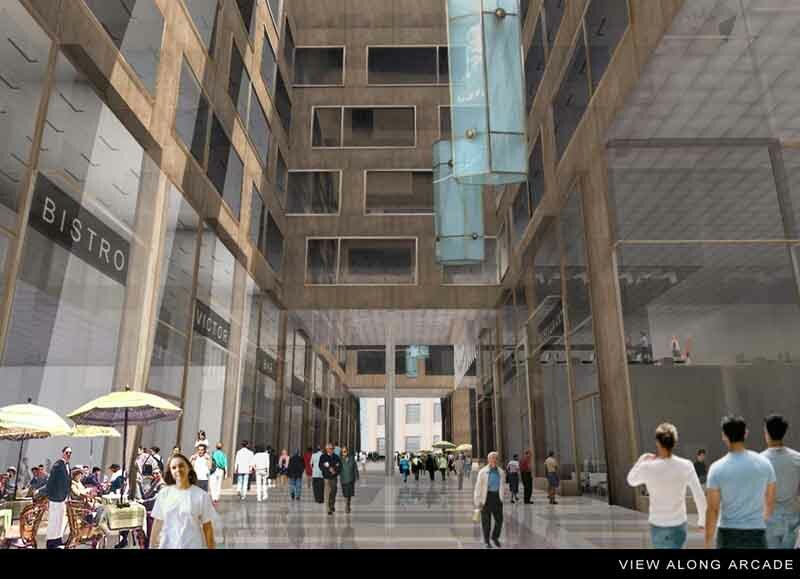 Architects for the scheme are Richard Murphy Architects & CDA Architects. Interserve’s vision is to redefine the future for people and places. It is one of the world’s foremost support services and construction companies, operating in the public and private sectors in the UK and internationally, offering advice, design, construction, equipment, facilities management and front-line services. Interserve is based in the UK and is listed in the FTSE 250 index. The Group employs some 50,000 people worldwide and in 2012 generated gross revenue of £2.3 billion. Tiger Developments has established itself as a highly successful and reputable property investment and development company both in the UK and continental Europe. Tiger works to increase the value of its property portfolio through refurbishments, lettings, rent reviews and renewals, rationalisation, development and sales and is committed to seeking out investment and development opportunities in all sectors of the property market. Tiger has concluded over £1 billion of transactions in the UK and over €200 million in mainland Europe. 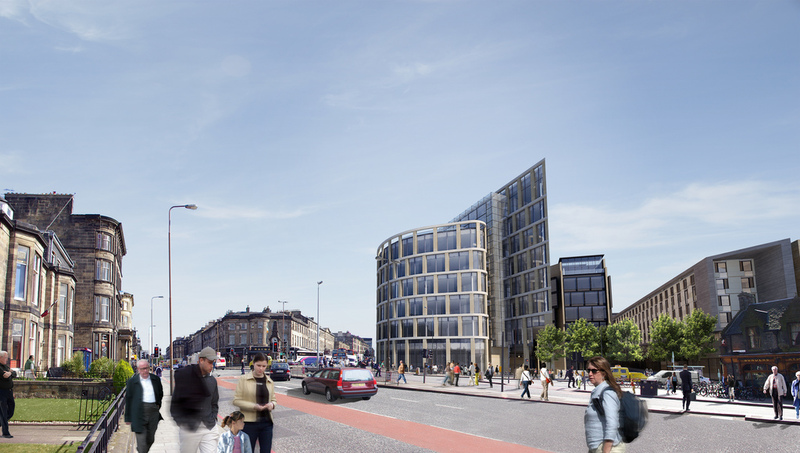 Work on The Haymarket, one of Edinburgh’s biggest commercial development projects in the last 10 years, is to start immediately following an agreement to commence enabling works and the completion of a number of key pre-lets. 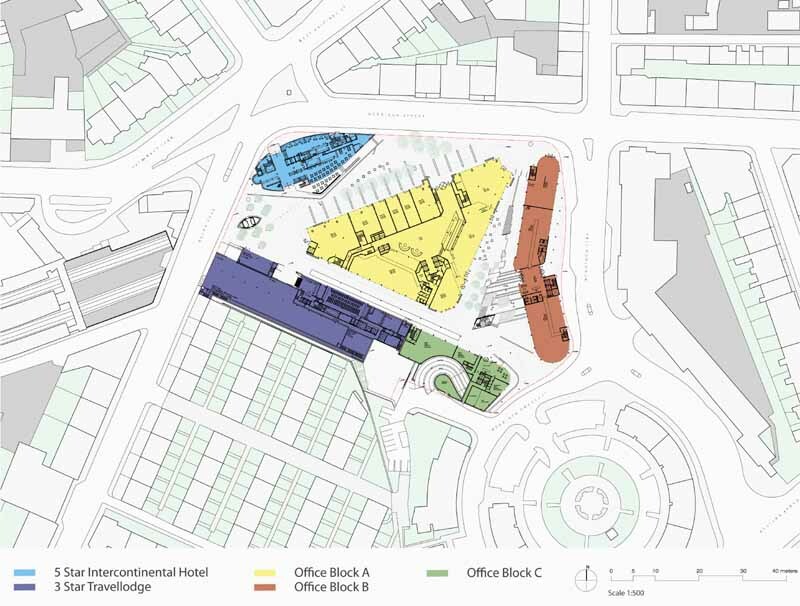 Interserve and Tiger Developments entered into a joint venture agreement in April 2013 to develop the four-acre site next to Edinburgh’s Haymarket station. Agreement has now been reached with Network Rail to start preparatory works as early as December on the railway tunnels beneath the site. This will take approximately 12 months with disruption to rail users kept to a minimum as the works will take place at night when rail services have ended. 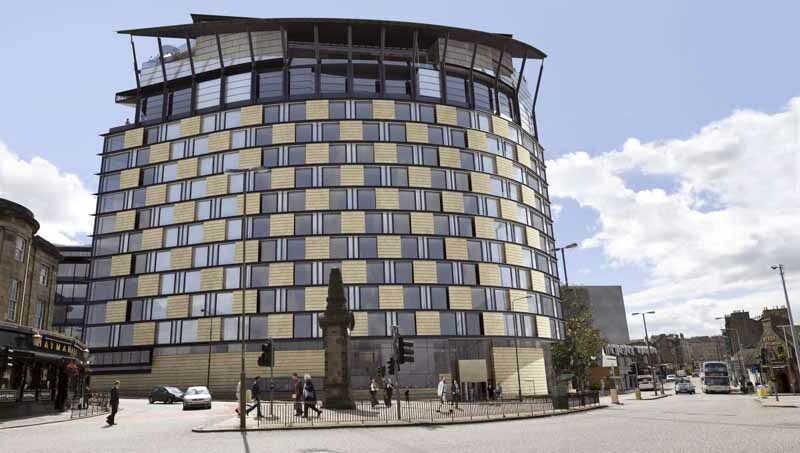 The tunnelling work signals the start of one of the city’s most important development projects of recent times, resulting in a £200 million mixed-use development delivering a mix of high quality office, hotel and retail space with the potential to create 3,500 jobs. 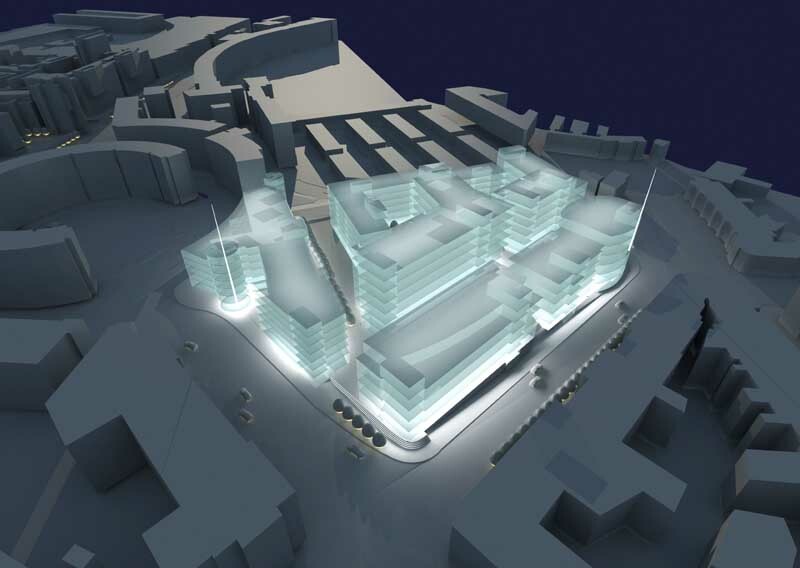 The Haymarket has full planning consent for 404,000 sq ft of office accommodation and 60,000 sq ft of commercial and leisure space, together with a 165-bedroom hotel and a 320-space underground car park. Tenants already signed up for the initial development phase include Q Park, Tesco and serviced apartments provider Staycity. Food chains Prezzo and Pret A Manger are already committed to the second phase, together with advanced discussions with other occupiers for a further 70,000 sq ft of retail and office space. 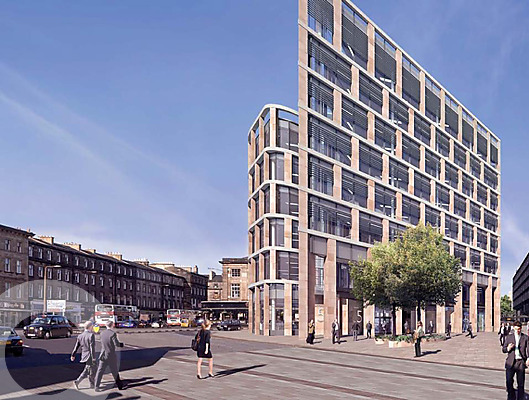 Welcoming the next stage in the Haymarket development, Interserve’s Development Director David Westwater said: “This agreement with Network Rail to start work on the site represents a significant milestone for one of Edinburgh’s last remaining gap sites. We are looking forward to completing the underground works during 2014, allowing for above-ground construction to start in early 2015. Archaeological excavations on the site will commence above ground in February 2014 which will involve the permanent closure of the NCP car-park currently occupying the site. On-site construction is set to start in spring next year, with the first buildings’ phase earmarked for completion in 2016. The construction project alone will be worth £150 million and will be delivered by Interserve’s local construction team, based in Livingston, employing around 250 staff employed either directly by the company or by specialist and local sub-contractors. Simon Fox, Development Director with Tiger, said: “The proposals for a mix of leisure, retail and office space linked by open public spaces will act as a catalyst to regenerate the commercial heart of the area as well as create jobs. 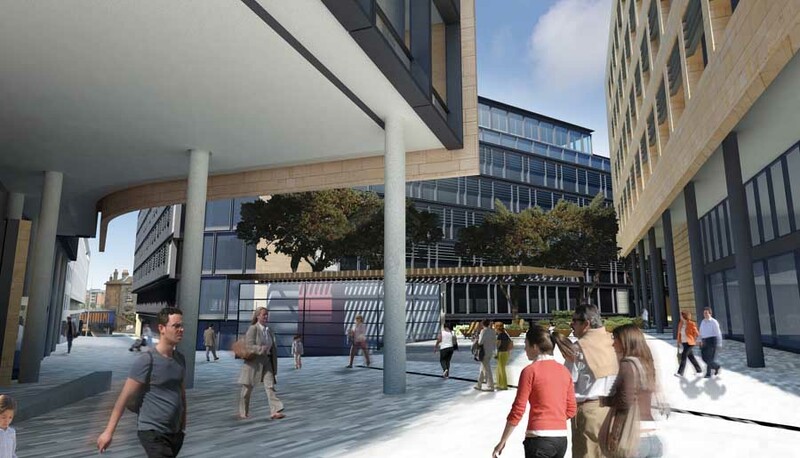 Proposals include four contemporary office buildings offering around 400,000 sq ft. of space designed to meet the fast-growing demand in Edinburgh for high-quality city centre space capable of accommodating large-scale occupiers on single floors. 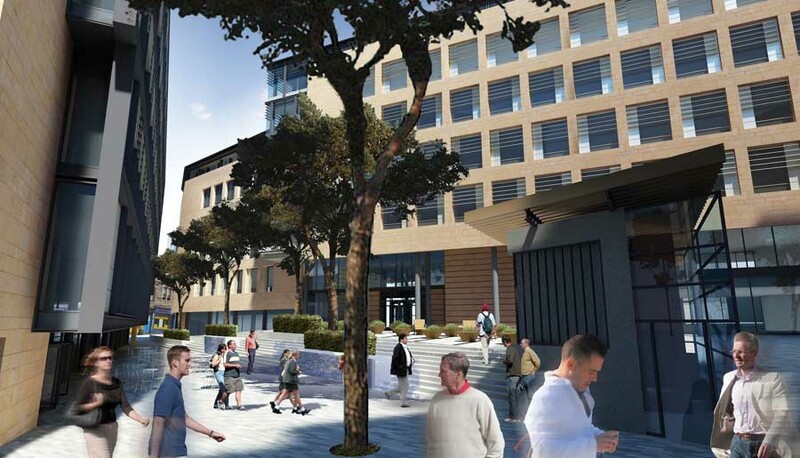 There will also be a mix of retail, food and leisure developments – including retail units and a food store as well as bars, cafes and restaurants. The new Edinburgh tram system, which is due for completion later this year, runs adjacent to the site and Haymarket railway station, further cementing the location as a principle business and transport hub for the city. 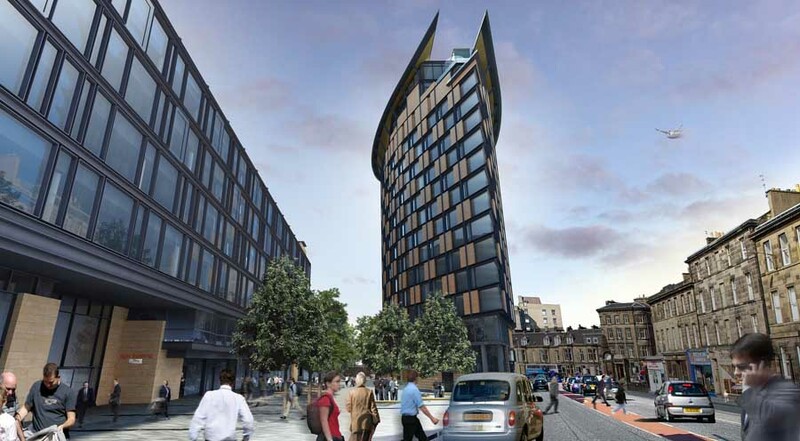 A controversial development in one of Scotland’s prime city centre gap sites is to start this summer after years of protest and delay, reports the BBC today. The £200m business district is to be built on Edinburgh’s Haymarket, creating 250 construction jobs with thousands more promised on completion. The Scotsman report that UNESCO has passed a resolution calling on Edinburgh City Council and the Scottish Government to scale back The Haymarket scheme. 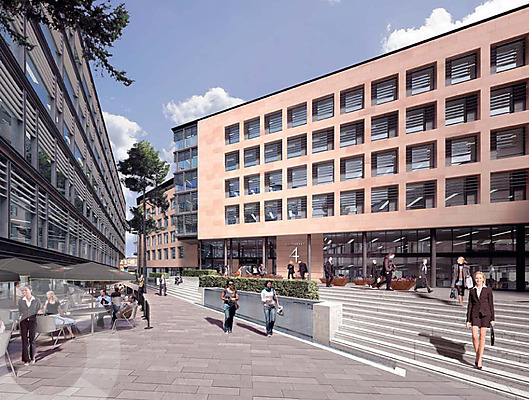 UNESCO asked the UK government to report by 2011 on progress on its recommendations, sparking speculation that any development at Haymarket could be put back by two years. The Irish developer behind the plans, Tiger, is awaiting the outcome of a public inquiry on the scheme and the Scottish Government says it will take Unesco’s comments into account when considering its ruling. 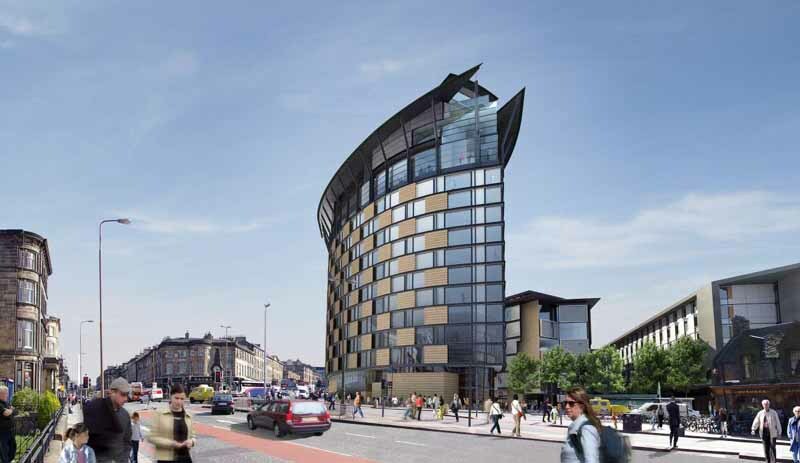 UNESCO has demanded major changes to the Haymarket hotel design. 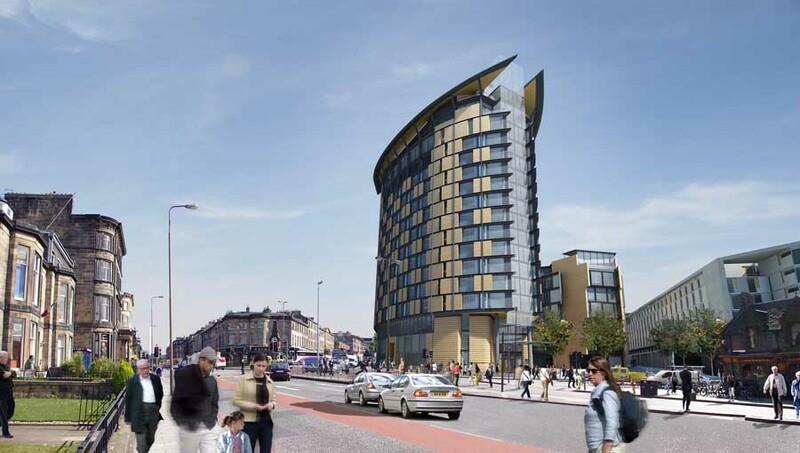 The Public Inquiry into the proposals for the development at 189 Morrison Street (The Haymarket) begins at 10am on Monday 25 May. The Inquiry is being held at the Academy Meeting Room, Holiday Inn, 132 Corstorphine Road and is scheduled to run until 5 June. Members of the public can attend. 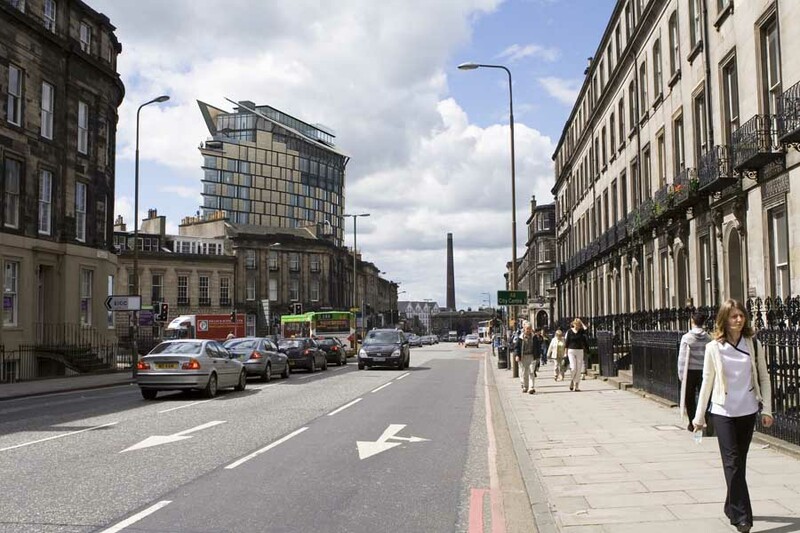 The Cockburn Association (Edinburgh’s Civic Trust) is supportive of development on this site but objects to the height of the proposed 17 storey hotel building at this location and the impact on the historic city skyline and much loved views. The Association will be represented at the Inquiry by John Campbell QC. Four expert witnesses – Professor Herb Stovel, Neil Simpson, Mark Steele and Charles Strang will give evidence on behalf of the Association in relation to planning, design, visual impact and the World Heritage Site. Bill Cantley, the Vice Chairman of the Association will also give evidence. 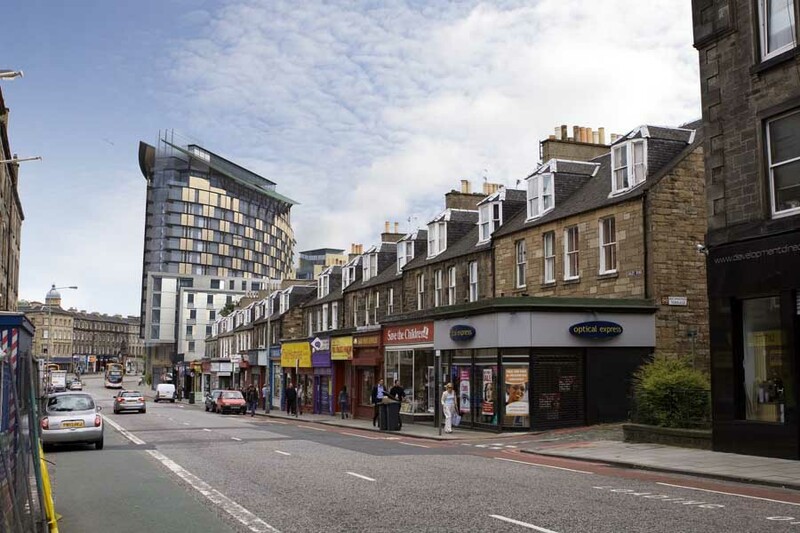 Third party objectors include the West End Community Council, the Dalry Colonies Residents Association, Gorgie/Dalry Community Council and local residents. 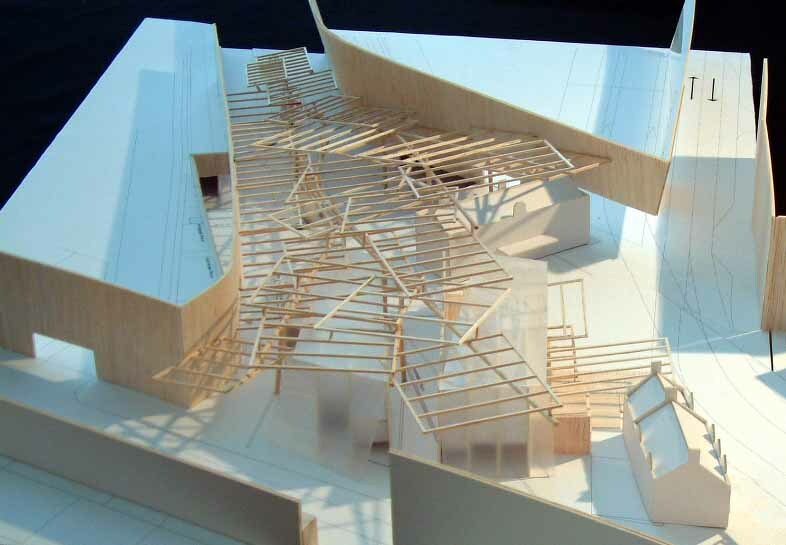 Architecture and Design Scotland have submitted written evidence in objection to the proposals. 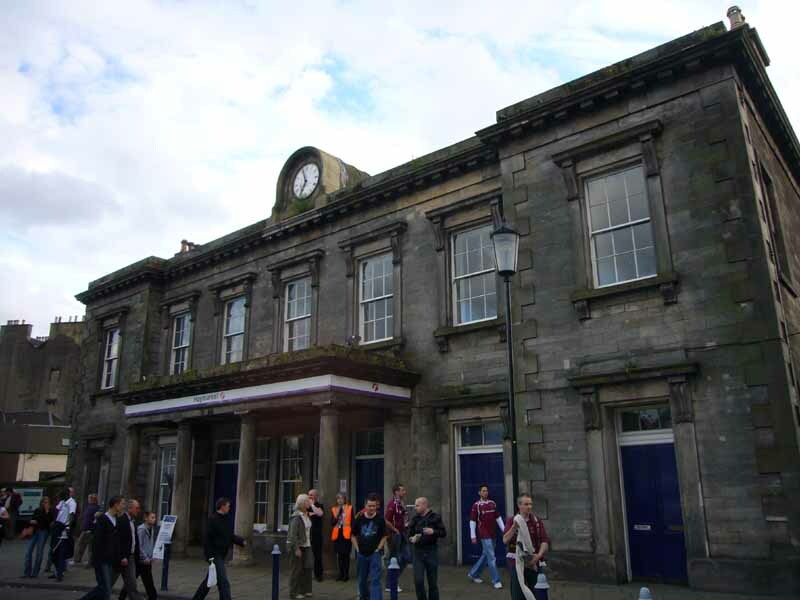 There has been a fantastic response from Cockburn members, the business community and local residents to our appeal for help with the costs of this Public Inquiry. Thank you to all who have donated and are supporting us. More information about the development and the Inquiry is available here. This is the third time Architecture & Design Scotland have criticised the proposals, following earlier criticism in April and July. 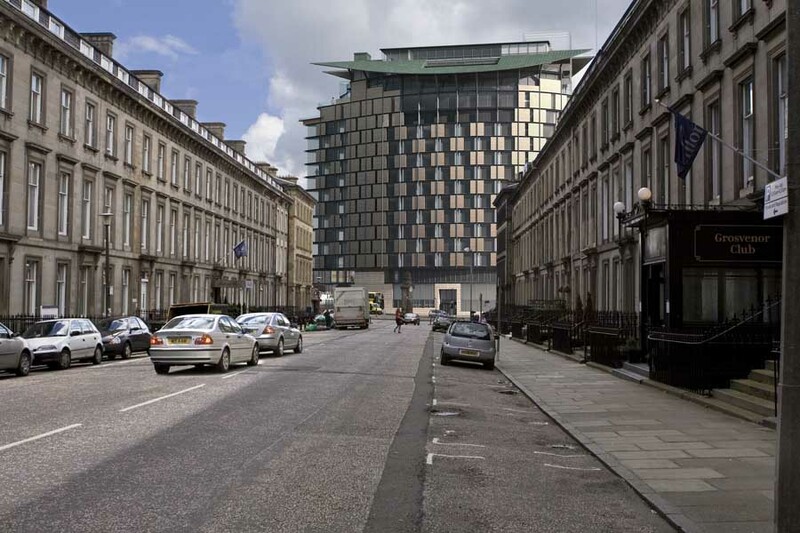 In its design review report A+DS criticise the scale and vision, including its 16-storey landmark hotel. A&DS’s report states: “We still have substantial concerns about the design and location of the landmark tower and do not think that the approach being taken will deliver the scale and quality of space required to establish the Haymarket as a successful urban space”, and that the proposals did not offer the “major spatial intervention of a scale commensurate with its location within the city and the buildings around it” and also that the “city needs to demonstrate much stronger leadership, co-ordinate the various initiatives in the area, and guide the development of the Haymarket as a world- class urban place and western gateway to Edinburgh”. Ed – But this is a brownfield site and precisely where density is required in a capital city to augment urbanity and reduce incursion of over-development in the countryside outwith the city. Sites like this are complex and strong leadership is of course needed to fully integrate disparate needs and desires. 111207. This is the largest project the practice has ever contemplated and our role has been three-fold: to master-plan the entire site, to design the exterior of three office buildings working alongside CDA Architects, and to be completely responsible for the design of a new 180 bed five star hotel. A second three star hotel, designed by our colleagues, Sutherland Hussey Architects, is also part of our master-plan. Tiger Developments approached the practice when the site was for sale and we were delighted when their bid was successful in the summer of 2006. Unusually, the site has never been developed, having been converted from pasture into goods yards in the mid 19th century. The tracks were removed in the 1960s and the site is currently a car park, although it has been subject to at least two planning consents since then, the most recent by EDI, proposed a mostly office and retail development and received consent in 2006. We have adopted a radically different approach from the EDI scheme. 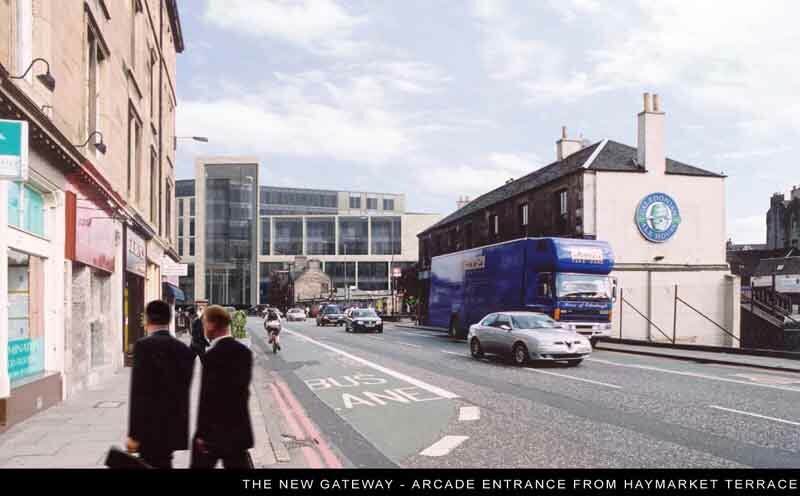 We have expanded the concept of what constitutes the Haymarket to make substantial amounts of new public space which coincide with the location of the railway tunnels and therefore obviating the requirement to construct above them. In the centre of the site is placed a major triangular office building and this defines the edge of the new Haymarket space. 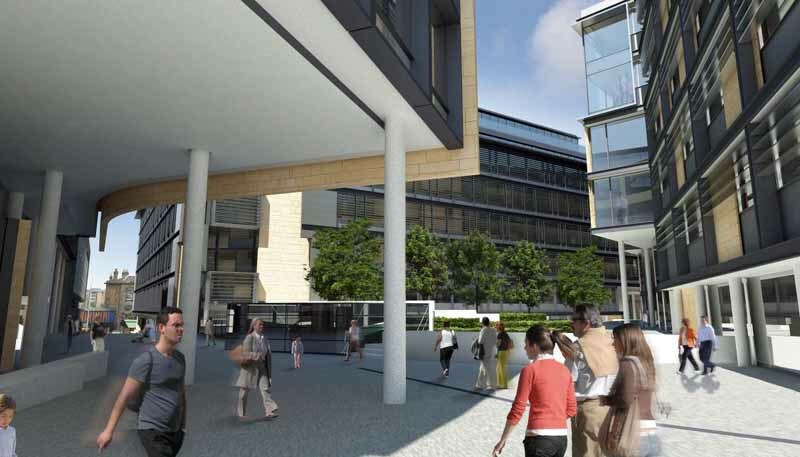 Along the Morrison Link is a second office building and forming the final side of a triangular public space to the rear is the third. The sensitive boundary with the existing “Colony” housing at Dalry is where the three star hotel is located, the rear of which has been deliberately modelled to respond to both the intimate spaces of the Colony streets and also to give courtyards onto which gable end windows look. 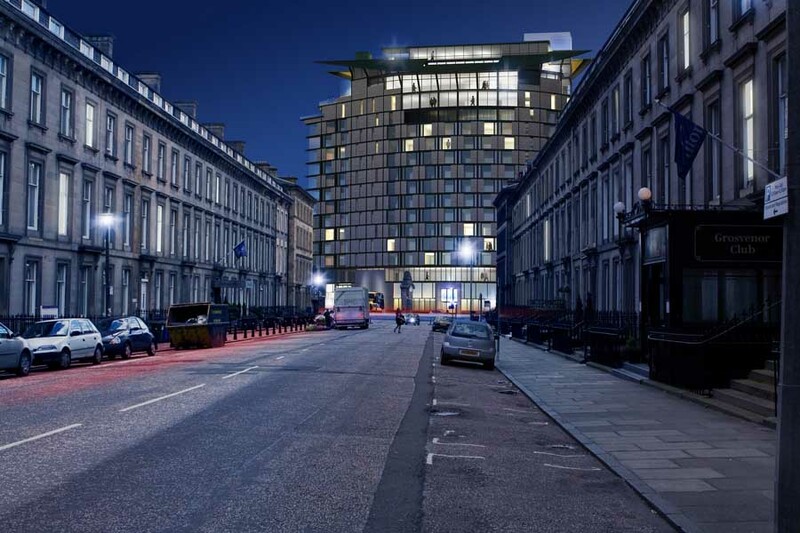 The most notable feature of the entire project is the construction of a stand alone monument-like five star hotel, which given its proximity to the increasingly busy Haymarket station, will take its place as Edinburgh’s third railway hotel alongside the familiar landmarks of the Balmoral and the Caledonian hotels. 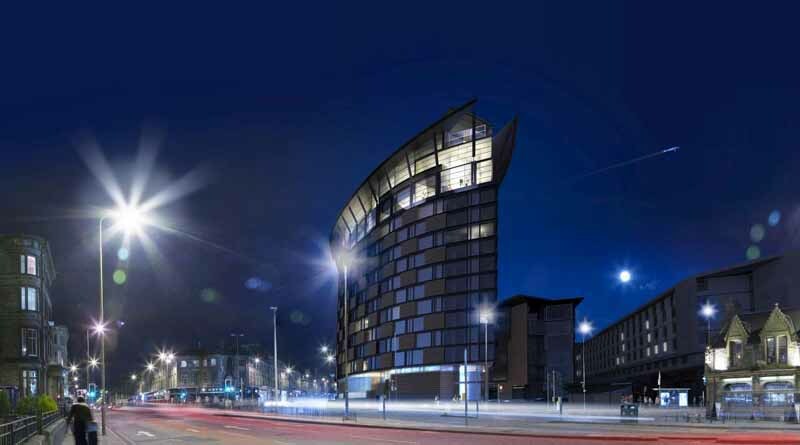 Like these hotels, this new building will also deliberately be substantially higher than its surroundings and will contribute to the evolving skyline of the city, but without blocking any significant views of either the Castle or the nearby St Mary’s Cathedral. Most of the social functions of the hotel are placed at the top of the building, acting as a beacon at night with the location functioning as a gateway building marking the entry into the World Heritage Site when approaching from the west. The public open space designed by our colleagues at Gross Max, landscape architects, is predominately pedestrian, but with a one-way vehicle traffic for access and service vehicles only. A 450 space underground carpark replaces the existing parking. 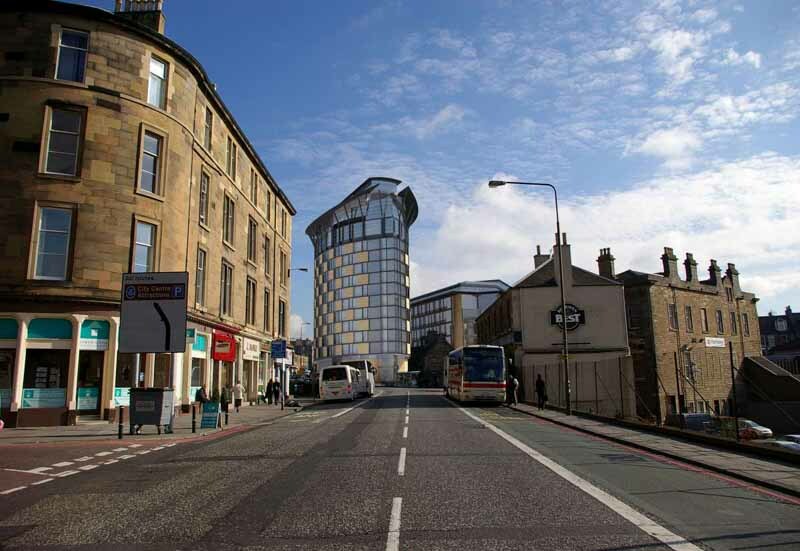 Planning application was submitted to Edinburgh City Council at the beginning of September 2007.